B.A., M. Ed., Ed. D.
Dr Adrian Kelly is Senior Lecturer in the Faculty of Engineering and Information Technology. 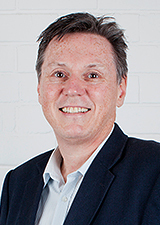 Adrian’s academic background is in Adult and Professional Learning, Adult Language and Literacy education and Academic Development and his doctoral research utilises Relational Practice and Narrative Practice approaches to Adult and Professional Learning. Adrian has worked in universities in Indonesia, Thailand, Vietnam and Australia as an Academic Developer, a Senior Lecturer in Professional Learning and as a lecturer in Adult Language and Literacy. Adrian teaches into the Professional Learning programs in Engineering and Information Technology and conducts research into Professional learning in the context of engineering education. The affective dimensions of intimacy and emotional labour in academic development are explored utilising two methodological resources: autoethnography and narrative practice. An excerpt from the author's reflective professional journal infused with affect and emotion is analysed utilising theories of intimacy in modernity, emotion work, and professional intimacy. The journal excerpt is 'restoried' to produce narrative lines that provide insight into the journal entry. The article concludes by proposing a 'pedagogy of intimacy' as an analytical space that values both skill and care. Widin, J, Kelly, A & Pyke, A 2015, 'EAP in diverse tertiary contexts', Language, Education and Diversity.